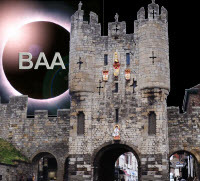 WDAS has been sent details about the British Astronomical Association Summer Meeting, which is being hosted by the York Astronomical Society. Please let Mark know if you'd like to attend, so we can arrange shared transport. The ticket cost, for WDAS Members, is a miniscule £5.00, for which you get to see five talks on Cosmology, on a theme "Probing the Dark Side of the Universe". 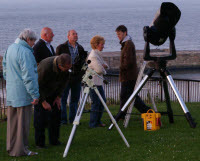 Star party at Whitby Youth Hostel, behind the Abbey Visitors Centre. Clear skies dependent (if in doubt, contact Mark on tel. 01947 605516). The society has been invited to the NYM Park Fest day on Sunday 24th July, to be held at the Danby Moors centre.